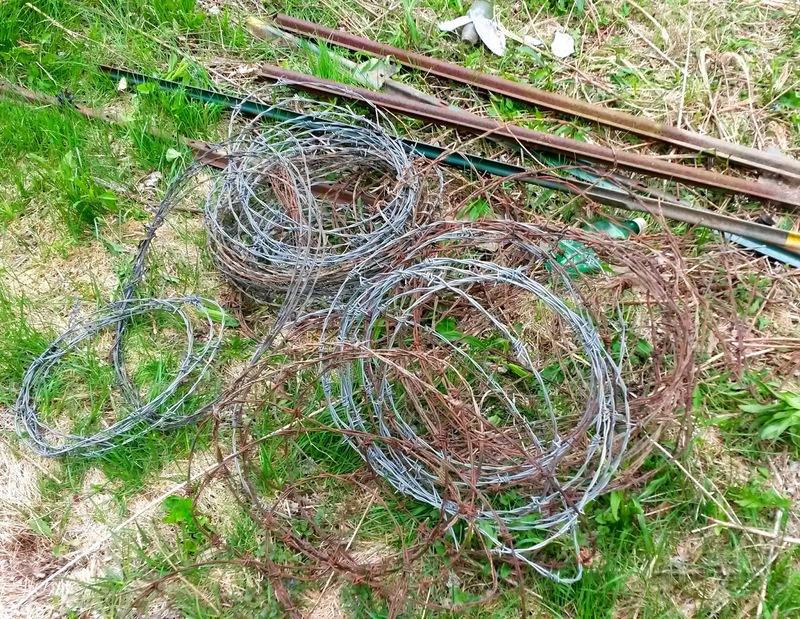 Last week the Tuesday Berkshire Hikers, along with Michael Leavitt and Doug Bruce of the Berkshire Natural Resources Council, pulled barbed wire from the fence line at the Housatonic Flats in Great Barrington, a BNRC property along the Housatonic River. 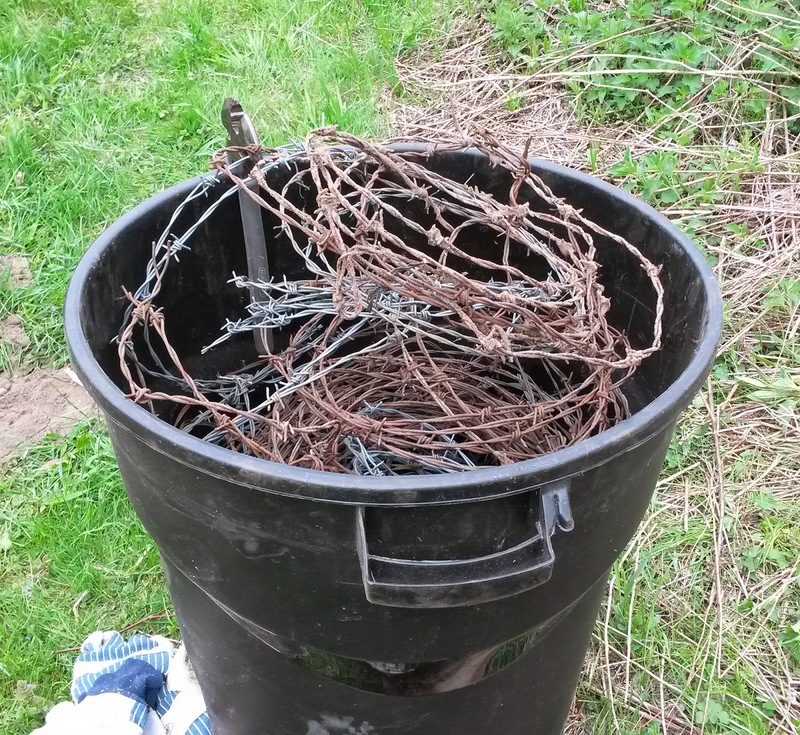 Although BNRC has removed more than 5 tons of solid waste, the barbed wire from many decades of fencing still needs to be pulled out. We made a good start on the task. This will be a wonderful property when it is completed. 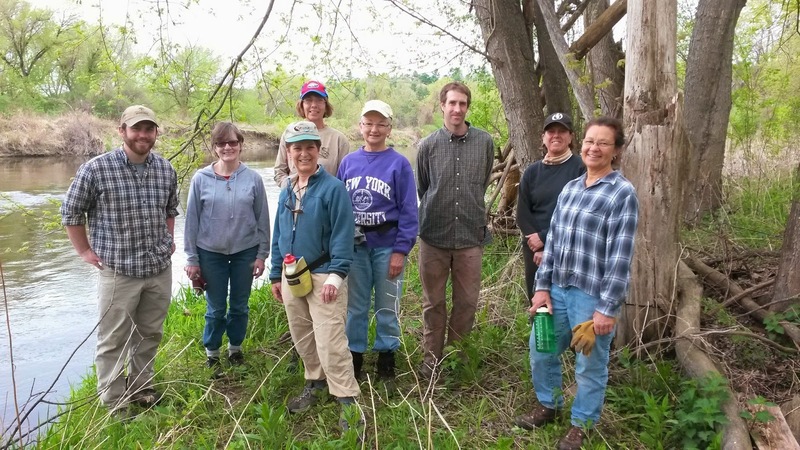 Although small, only 26 acres, it includes a half mile bend of river frontage, flood-plain forest and meadows, wetlands with beaver activity and wide mowed paths. Among other things, it's a great place for birding. It was a great morning of work and gave us a good feeling of accomplishment. On top of that, it was fun! Leather gloves protected our hands from the sharp wire. we cut, pulled, coiled and stuffed in trash cans for removal.